Beginning in Tax Year 2016, industry wide standards established through the IRS Security Summit require professional tax software vendors, including Intuit, to validate each individual user's identity. 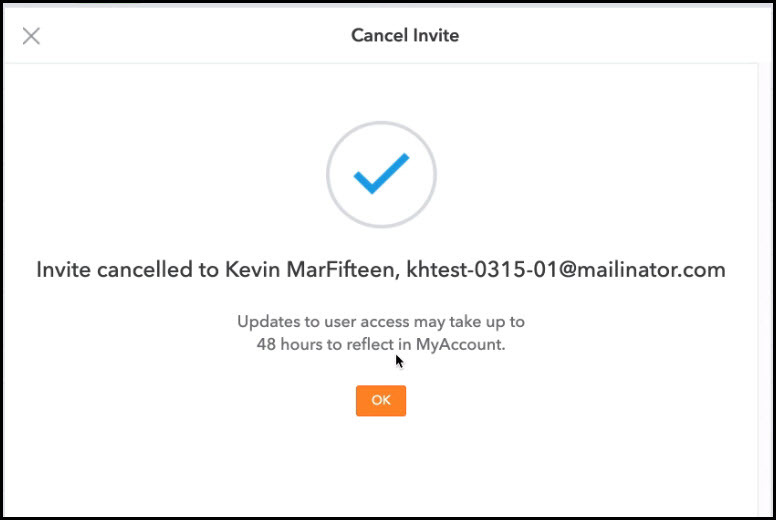 In compliance with these changes, Intuit ProConnect Lacerte requires all users to login and be authenticated as a valid user of your firm before the Lacerte software will open. Here you will establish the firm's Primary Administrator. This person will manage the firm's access. Note: If you have already completed setup of the firm's login credentials, we encourage you to confirm your login by following the steps listed in Verify Your Login Using 2016 or 2017 Lacerte. If these steps have already been completed, please disregard this notice. Every firm will need to designate one person in their firm to be the Primary Firm Administrator. This person will be responsible for managing Lacerte software access for users within your firm. If you are the only Lacerte software user in your firm, you will be the Primary Administrator. The Primary Firm Administrator may provide administrator access to other users in your firm. All users of the Lacerte software must have their own individual login. Note: When signing into your Intuit Account, you may be prompted to verify your identity via MFA (multi-factor authentication). MFA will also prompt when accessing your account from an unrecognized device. For steps to verify your identity, click here. If the My Account Dashboard page is displayed after logging into My Account, please select Manage Lacerte Users located under "Helpful Resources" on the left side of the dashboard screen. The Manage User access page will be displayed. Important! : By clicking the 'Get Started' button you acknowledge that you are the authorized administrator for your firm. The Get Started button will not appear orange until the box is marked to indicate you are the Primary Administrator. Attention! If you are the only Lacerte software user in your firm (a single preparer office), your set up is complete. Please skip to Verify Your Login Using 2016 or 2017 Lacerte section to confirm your login credentials are successful. If there are multiple Intuit accounts associated with your login, the following window will appear. Simply select the account name that is associated with your 2017 Lacerte software order. You must either be the Primary Firm Administrator or been granted Admin Rights to invite other users. 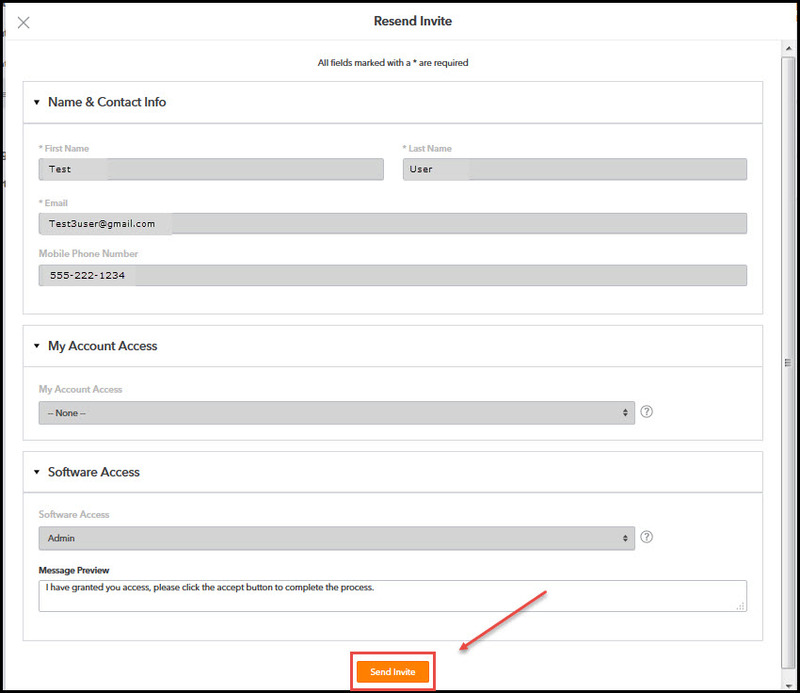 If you are the only Lacerte software user in your firm, you will not need to invite additional users and you may skip this section. Click Account on the left side to expand the section and see Manage Users hyperlink. On the Manage Users screen, click on the Invite User button on the right. The Admin role enables you to manage user access. The Employee role provides Lacerte program access, only. Message, enter your own personal message or utilize the default message already generated. Verify the invitation was sent when the Manage User page is displayed. The invited user(s) will show as Pending. Reinvite a User: This function is only visible to the Admin Role. Note: If you are viewing Managed Users as an Admin, and this action is not available, you may need to clear your browser cache. To re-invite a user, click the down arrow next to the Pending User and select Re-Invite. Once Re-Invite has been selected, a new invitation will open. If you are viewing Managed Users as an Admin and this action is not available, you may need to clear your browser cache. To cancel a pending invitation, click the down arrow next to the Pending User and select Cancel Invite. A confirmation screen will generate. Upon receipt of the invitation, the employee (user) clicks on the button in the email to accept the invitation, I accept. Note: This email will be sent by your Firm Administrator from do_not_reply@intuit.com. 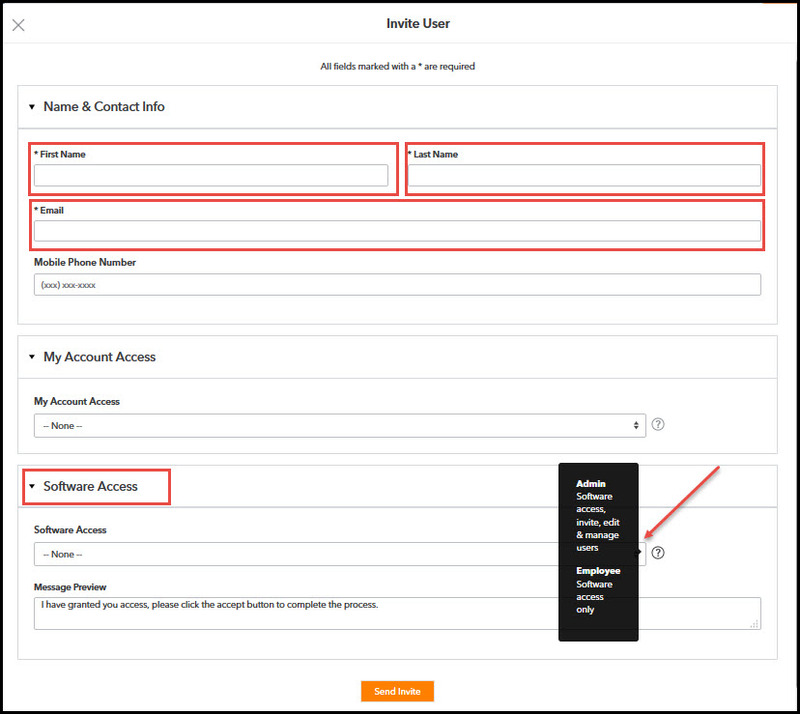 If the employee (user) has not already set up a My Lacerte account, enter all applicable information in the Create your account screen. Note: If the employee (user) already has an account, select Already have an account? Sign in. Also Note: When signing into your Intuit Account (My Lacerte), you may be prompted to verify your identity via MFA (multi-factor authentication). For steps to verify your identity, click here. Upon completion of these steps, the employee (user) should test access. (Please see Verifying Current Access Using Your 2015 Program). When attempting to log into Manage Users the following message will prompt you to send a request for access; You currently do not have access to use the Lacerte 2016 program. Once completed, the system will send a email request to your Firm Administrator requesting access to Lacerte. The email will come from the address 'lacerte@intuit.com'. Click the in the bottom right corner of the video window to view in full screen. Make sure audio is turned up at least 50% in Windows , YouTube , and Speakers (if connected). 1. When will the sign in/login requirement be required? The Tax Year 2016 Lacerte software will require all users to sign in to access the program. This will not be required for 2015 and prior tax years. 2. Is this something I can opt out of? No, this is a product requirement. You must sign in to access the 2016 Lacerte tax program. 3. Why is Intuit doing this? At Intuit, the security of our products remains one of our top priorities. We are committed to helping you safeguard taxpayer data and prevent identify theft. Refer to IRS Publication 4557 for additional information on ways to safeguard taxpayer data. For Tax Year 2016, new industry wide standards established through the IRS Security Summit process require professional tax software vendors, including Intuit, to validate each individual user?s identity. The IRS has alerted the industry on steps to protect your office, combat tax fraud and identity theft. Refer to Tax Professionals: Protect Your Clients; Protect Yourself from Identity Theft. 4. Will I have to sign in to my software program every 30 minutes? After you have signed into your tax software, you will remain logged into your software program as long as your computer shows signs of activity. After 30 minutes of inactivity, you will be required to sign back in with your secure password. 5. How will this impact download and installation of my program? There is no change to downloading and installing your tax software program. You will be required to sign in to launch your tax software program for both stand alone and network users. 6. How does this impact 'Terminal Server' and Citrix users? Sign in is required to launch your tax software program. 7. What if I forgot my User ID or password? Refer to Forgot User ID/Password for steps to re-set your password. 8. Can anyone else use my login/password? Everyone who accesses the tax software program must have their own unique user ID and password. When signing into your program, periodically you will be prompted to verify your identity via Multi-factor Authentication (MFA) which helps to protect against unauthorized access. Note: This will occur every six months or as needed, to protect your account. MFA will also prompt when accessing our account from an unrecognized device. 9. How do I get setup to be a user? Your Firm Administrator will send you an invite for access to the Lacerte program. You will need to accept the invitation and follow the on-screen instructions provided to complete the process for access. 10. What happens if I do not have an internet connection while traveling or visiting a client? When you set up your initial login and complete your first sign in to your Lacerte software with your username and password, you must be connected to the internet. This allows us to verify your identity. After this initial successful login, the Lacerte software will recognize your username and password, with or without internet connection. Once you have signed into your tax software, you will remain logged into your software program as long as your computer shows signs of activity. Example: When logging into Lacerte on your computer, you will need to be connected. The first time you log in, the system caches your login credentials on the computer. After this has occurred, you will no longer need to be connected to the internet to log in. The computer can be taken from client to client allowing you to log in each time you need to access the program, without requiring the internet. Once your password expires, you will need to be connected to update it, which will allow the system to cache the authentication locally once again. Important! Passwords are required to be changed every 90 days. When your password expires, you must be connected to the internet to update your password. 11. When using the program on another users computer, will I need to use their login? No, you will use your login. When signing into your Intuit Account from a device that has not been previously associated with your login, you will be prompted to verify your identity via MFA. 12. How long does the invitation last? I have an employee who will not be onsite for several weeks. These invitations will time out once 30 days have passed. We recommend sending your invitations when you know your employee/user will be available to accept. 13. Will I need to have a different password for each Intuit product? Your password will be the same for any Intuit product you access. One Intuit Identity (OII). 14. I'm trying to reinvite a user but the option is not available. Why don't I have this option? This option is only available to those with the Admin Role. If your Role is listed as an Admin, and you are not seeing this option, you may need to clear your browser cache. Subscribe to this article to be notified when additional information becomes available.